Master of packing. November. 01, 2018 08:05. .
People who are conspicuously outstanding than others in academics, technology or the logic of objects are referred to as masters. Christo and Jeanne-Claude couple, environmental installation artists, are masters of packing. They acquired a cosmopolitan reputation with a matchless technique of packing practically everything, from an old oil cask and furniture to a government building or an isolated island. On June 13, 1935, Christo and Jeanne Claude were born on the same day in Bulgaria and Morocco, respectively, as if they were destined for each other. After they met for the first time in Paris in 1958, the two people worked together all the time and gained people’s attention by planning a massive scaled project that packed a historical venue after moving to the United States. The Pont-Neuf Bridge of Paris, which holds 400 years of history, the Reichstag building of Germany, which is the symbol of German imperialism, and the eleven islands of Miami, which is a vacation spot, were all included. The packing art of the couple was the result of long negotiations with the administrative authority that took as along as tens of years. “The Gates,” which was installed in Central Park, New York in 2005, was New York City’s largest public art that was realized after 25 years of negotiation. “The Floating Deck,” which was installed on top of Lake Iseo in northern Italy in the summer of 2016, was also a project that realized an idea of 1970 in 46 years. It was a three-kilometer-long trail that floated on water starting from the Sulano village to Monte Isola and St. Paul Island. This trail, which was made by combining 220,000 high density polyethylene cubes, was packed with 100,000-square-meter yellow fabric. More than 12 million people visited the place in 16 days to walk this special pier that changed the landscape of the quiet rural lake. 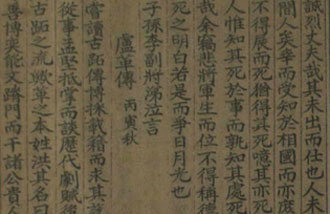 It was an exhibition that recorded the largest number of tourists in the world that year. 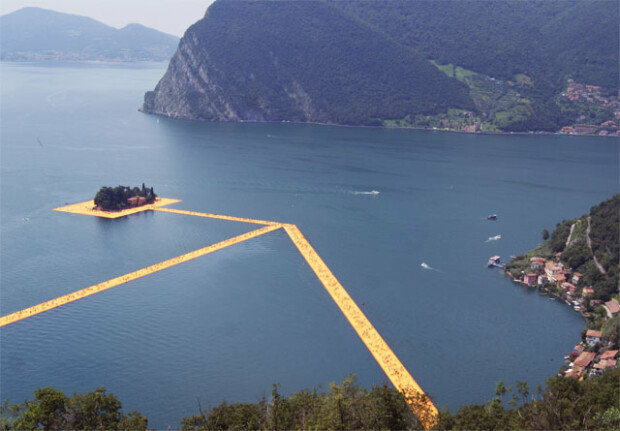 Christo, who do not receive any external support, funded the costs of this project, which reached 20 billion won, through selling his works. All the materials that were used after the exhibition were completely collected and reused. This couple, who creates art for everyone rather than just a few numbers of rich collectors, and completes their work by recycling, are the genuine masters of art, who are well-versed in the meaning and logic of art.